The paper reported on a study of sterilization effects on marine Vibrio sp. under different strength and frequencies of underwater shock waves generated by electric discharges. Bio-experiments were carried out with the induced bubbles behind the underwater shock waves in a cylindrical water chamber. 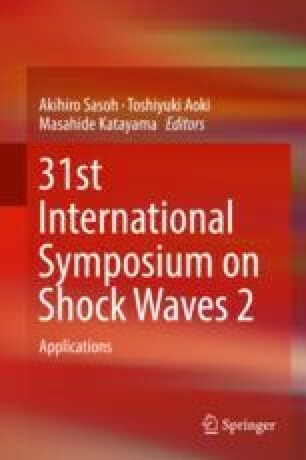 Propagation behaviors of the shock wave in the water chamber are analyzed using an axisymmetric numerical simulation, and pressure measurement is also carried out. The generation of the bubbles is investigated using an optical method. As a result, the marine bacteria are completely inactivated in a short time, and it is clarified that sterilization effect is closely related with the number density of bubbles, pressure, and frequencies of underwater shock waves. A part of this work was supported by JSPS KAKENHI Grant Number 16H04600 and 16 K14512.